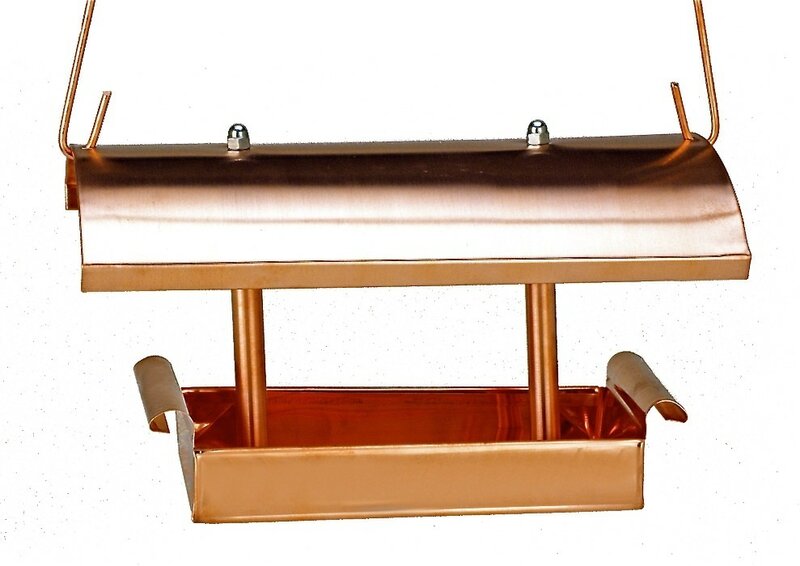 Copper Cans come in two sizes - 20 and 24 inches tall. 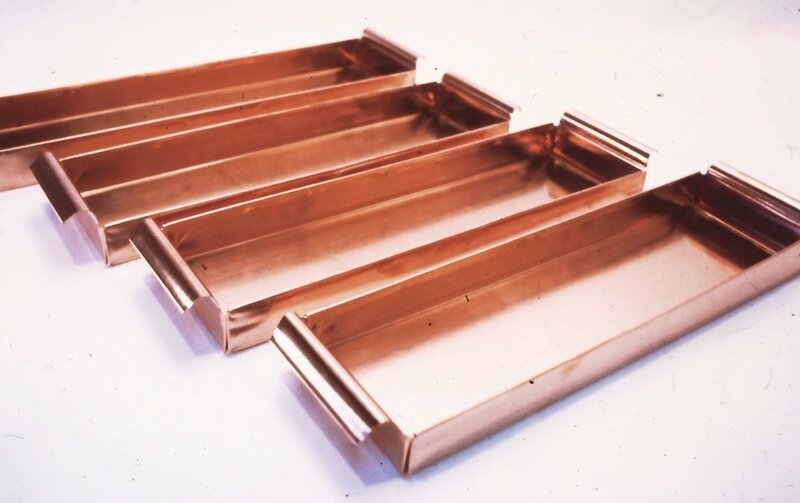 Copper Trays can be made in all sizes up to 36 inches. 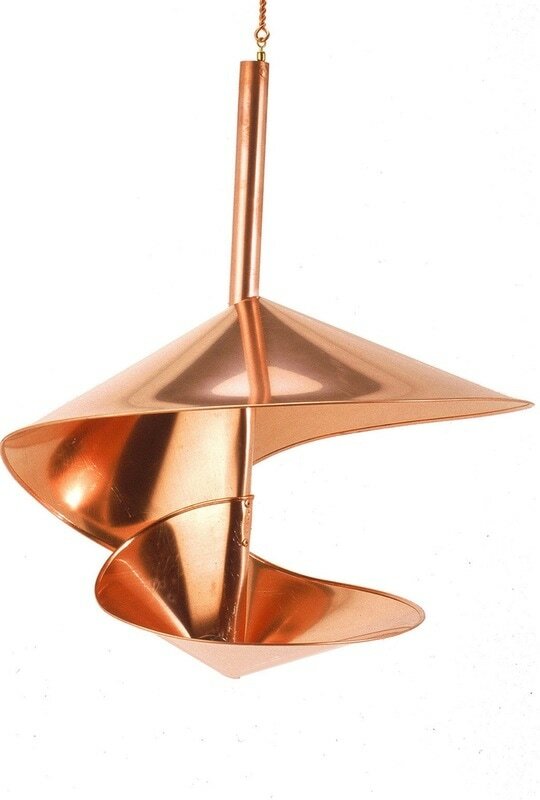 They hold water and are great for displaying plants. They are 1 1/2 inches tall with curved handles or without.